The question was: “Honestly, the members think SJ fans are getting older as well”. Many members chose O (true). Members support one another when we have difficulties. Last year, I experienced a slump and Leeteuk-hyung helped me. We have so many members so, just like my case, when a member has a hard time, another member gives support. This time, I was very happy preparing for the sixth album. This is from a Japanese magazine. Many thanks to MIZZA for translating (see full credits at end). Q: What is SJ for you? Q: What is the good point of being SJ? A: Being loved by many people. Q: What is the hardest thing as SJ? A: I can’t go out with my friends easily, even though I’m a university student now. Q: How is SJ 10 years later? A: We will be doing SS14. A: The person like sunshine. Because I have been called like that by fans. A: Since all SJ members had strong feelings on SS4, I really loved it. Q: Which point do you want to be watched by fans? A: My efforts. AND my abdominal muscles too! I really feel very happy. Finally Ryeowook get a chance to perform with his lovely dongsaeng, Hyungsik!! This is a special stage summer event of the musical <Temptation of Wolves> which has only 2 rounds. Since my debut, I’ve been writing messages on my fansite at least once a month. It’s not something grand, but considering that if I’m a fan, what kinds of action of an idol will make me happy? I’ve concluded that if an idol should communicate with fans sincerely from the bottom of his heart, fans will be very happy. Therefore I want to tell my fans my inner thoughts, even the slightest ones, as much as I can. Q . I saw SM Town Paris on TV. K-pop fever was amazing. Q. Is there a member who motivates you? Q. Who is the simple man among Sj members? 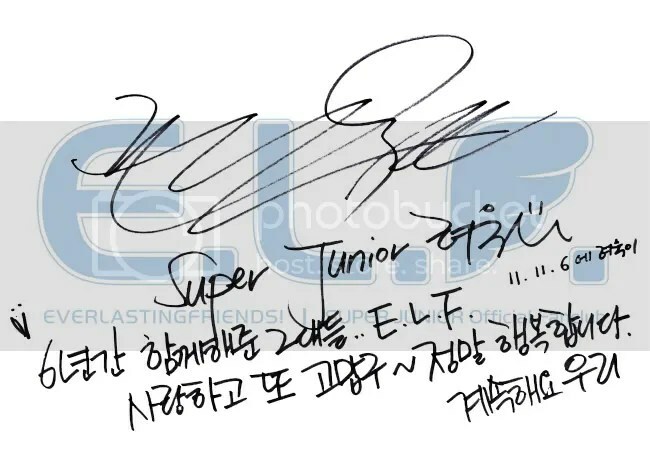 Eunhyuk said: Siwon, Ryeowook & Shindong. 려욱인 일하다 생기는 고민이나 찾아오는 회의감을 “난 그래도 지금 이렇게 무대에 설 수 있다는 사실이 행복해”라면 단순하게 정리하는 재주가 있다.